Perhaps the best tool for anticipating major shifts in the financial system is the ratio between Treasury Inflation Protected Securities (TIPS): and the Long-term Treasuries ETF (TLT). In its simplest form, when this ratio rallies, the financial system is anticipating IN-flation. When this ratio falls, the financial system is anticipating DE-flation. 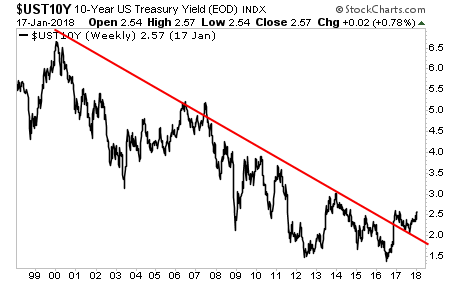 Below is a 10 year chart for this ratio. 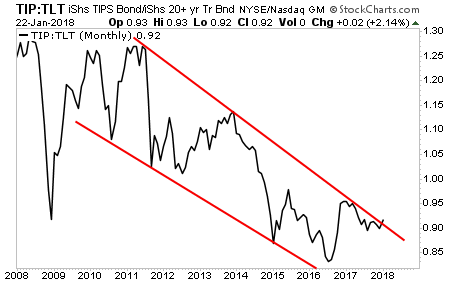 And as you can see, it has just broke out of a 10-year deflationary channel. This is an absolute game-changer. 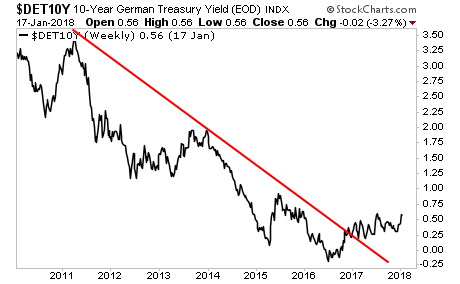 If this breakout continues, then we have a confirmed shift in the entire financial system away from fearing deflation to expecting inflation. The impact this will have on all asset classes will be massive. And it’s about to blow up the Everything Bubble. Bonds trade based on inflation. 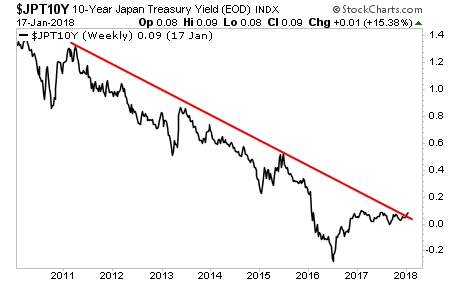 Even Japan’s sovereign bonds are coming into the “inflationary” crosshairs with yields on the 10-Year Japanese Government Bond just beginning to break about their long-term downtrend. All of this is at risk of blowing up courtesy of this spike inflation. And it's going to collapse most asset classes in ways we haven't seen since 2008. On that note, we are putting together an Executive Summary outlining all of these issues as well as what’s in terms of Fed Policy when The Everything Bubble bursts.